Panasonic has introduced its most efficient Aquarea range to date. The new Aquarea J Generation scores highly on energy efficiency, design and comfort with new features that deliver benefits for both residential and commercial customers. Aquarea is known for being a highly efficient solution, utilising the air as a 100% renewable energy source. 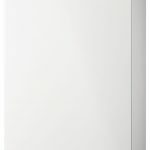 Now, the J Generation features an improved heating efficiency compared with the previous generation, with a COP of 5.33 on the WH-UD03JE5 model and a Domestic Hot Water (DHW) COP of up to 3.3. From September 2019, models will be rated A+++ in low temperature operation, which is the highest energy class, according to the new Energy Labelling Directive 2010/30/EC. To support a more environmentally-friendly approach, Aquarea uses R32 refrigerant. R32 is easy to recycle, has zero impact on the ozone layer and 75% less impact on global warming, helping to lower the carbon footprint of a building. 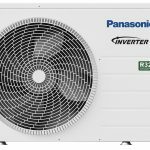 It is also a more economical alternative with higher efficiency2 and 30% less refrigerant used, so customers can enjoy cost savings as well as significant environmental benefits. The new J Generation boasts improved comfort even in extremely low temperatures, down to -20˚C. There are two new sensor positions available for DHW control, which can be selected to improve efficiency or comfort levels. Users can select an option for improved efficiency and the most effective DHW COP when operating in part load capacity, or for greater comfort simply select an option to reduce heat-up time when operating in full load. The J Generation includes quieter outdoor units, compared to previous models. This helps to reduce noise outside of the property, which is particularly desirable in rural areas where peace and quiet outdoors is a key comfort factor. Design has been an important consideration for the new J Generation models in order to enhance the range for both installers and end users. Extended piping lengths provide further flexibility to cater to a range of building sizes. The 3kW and 5kW capacities now have a total piping length of 25m, also providing an increased elevation difference between indoor and outdoor units from 5m to 20m. Meanwhile 7kW and 9kW units reach a higher limit up to 50m, ensuring users can adapt the system to their needs. A 30m elevation length also increases installation options for professionals. For further installation flexibility, Aquarea J Generation can reach an output water temperature of 60˚C. There is also a new chiller function which can provide cooling down to 10˚C – the perfect solution for flexible environment control. To maximise the lifetime of an Aquarea J Generation system, models also include a magnetic filtration system. This removes ferocious particles from the water, enhancing the performance of the system. The Aquarea J Generation All-in-One has kept the essence of its popular design but with the additional benefits outlined above. There continues to be free space on top of the AIO unit thanks to the refrigerant connection port being located at the back of the unit, which allows for additional storage space in the home. For intelligent maintenance support, Aquarea Service Cloud is available as part of the Aquarea Smart Cloud control system. Aquarea Service Cloud will activate remote maintenance services whenever the users remotely control or monitor their heating and DHW. This remote maintenance function saves time and installer visits by connecting Aquarea to a powerful cloud infrastructure to monitor remote error codes. This enables installers to respond more quickly to faults and issues, keeping the customer completely satisfied with their heating and hot water systems. Offering capacities from 3kW all the way through to 16kW, the Aquarea Heat Pump range is the widest on the market, with an extensive range of high-quality accessories such as fan coils and tanks, ensuring a system is available, whatever your heating and cooling needs. Suitable for new build and refurbishment projects, the solutions are cost-effective with minimised environmental impact.